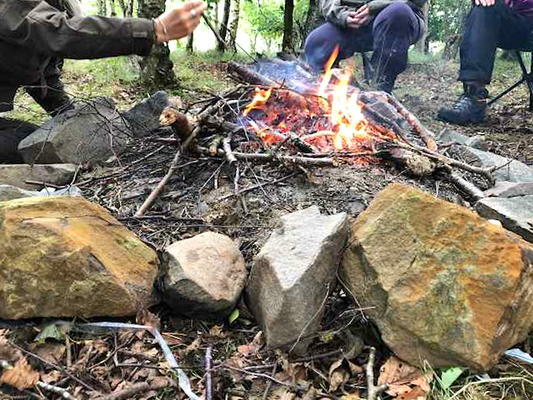 We will have a day together in the countryside at the workshop near Lenzie – to be in the landscape and to be with the transition between Autumn and Winter. Through mindful awareness of our senses, we will investigate the leaves, colours, light, textures, and atmosphere of the environment. 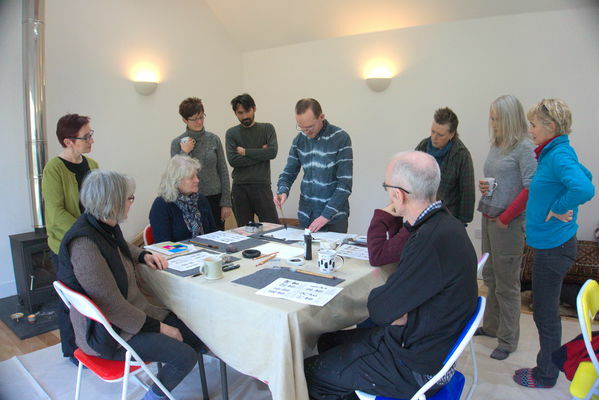 We will spend time outdoors followed by markmaking and calligraphy with ink, back in the workshop. 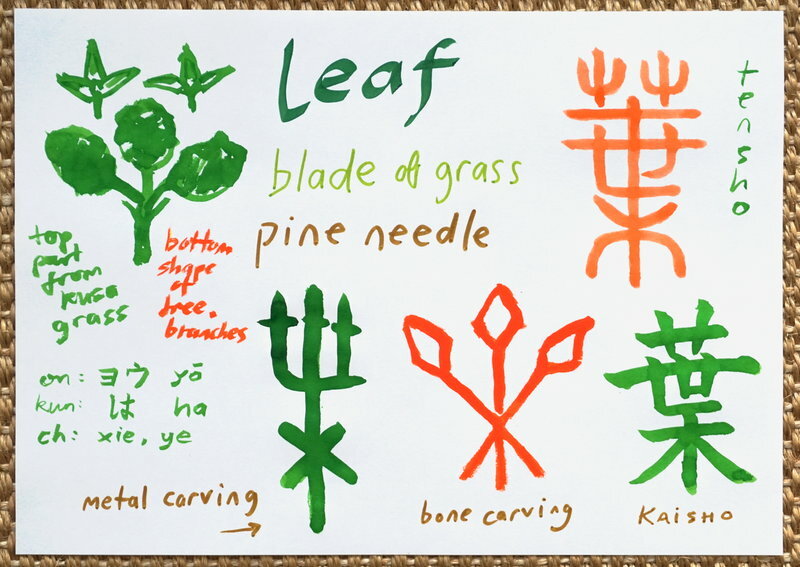 Engaging with the oldest Chinese visual characters and looking for connections with other pictograms eg. from ancient sites in Scotland, will help us to find cultural links and inspire us to express our experience. We will particularly look at visual characters such as Autumn, Red, Leaf, Winter and Light. 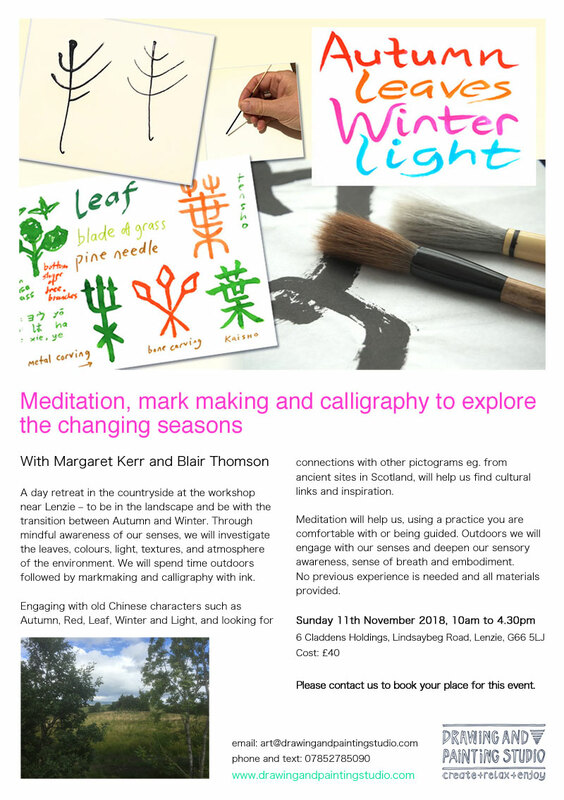 Our calligraphy work will be indoors, but if the weather is suitable, we will also have some peaceful time outdoors to enjoy being in the fresh air, and being with the seasonal transition. There will be some extra free time for a walk at lunchtime if people like. 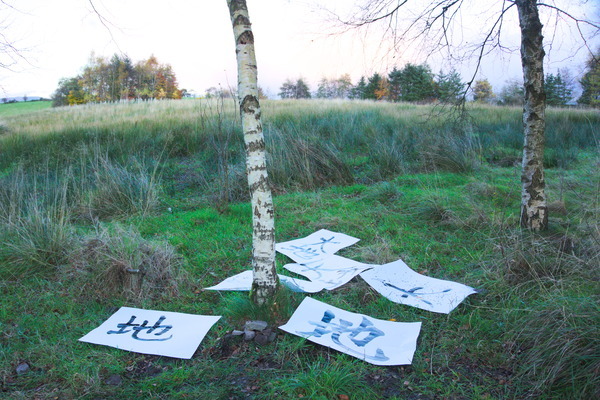 Outside we will collect some leaves and natural objects to connect with nature, and also have a fire to meditate near – the Chinese/ Japanese character for fire ‘hi’ is part of the character for autumn ‘aki’, relating to the glowing red and orange hues of the season. 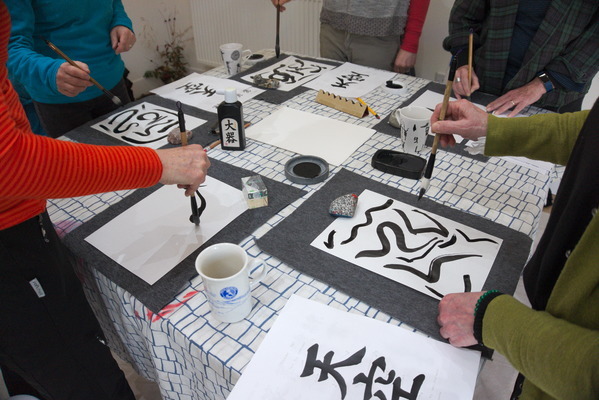 Markmaking and Shodo calligraphy encourages mindful practice while nurturing creativity and expression. We will use traditional Japanese materials and paper, which are nice to hold and notice their feeling through touch. As we experiment with the marks we aren’t looking for perfect pieces, as this is much more a way to enjoy the process of engaging and expressing whilst relaxing and being supported by Blair and Margaret. So we welcome the splash of ink and our imperfections wholeheartedly. 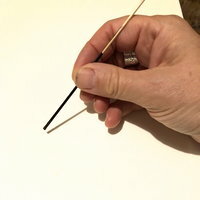 We will also experiment in mark making using natural objects such as reeds from outside, noticing the different types of marks and how that affects the feeling of what we are working on. 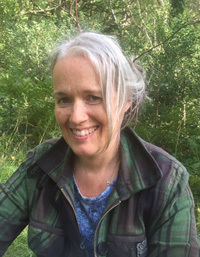 Guided meditation will naturally combine with being in the open grounds or in the trees, and being mostly silent during the day, to deepen our sensory awareness, sense of breath and embodiment.